Author’s Note: If you have not read my post, Does the Strong-Willed Child Really Have a Strong Will? please read it as an introduction to this post. 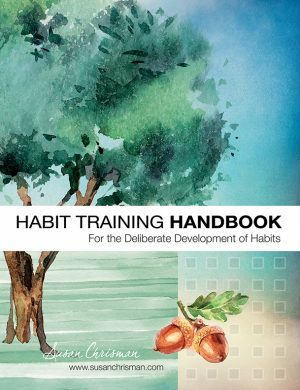 Training the will of a child can be a parent’s greatest challenge. 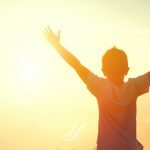 Some children are naturally more compliant than others, but there are some who, even at very young ages, like to think their own thoughts and do their own thing. Understanding the will and how it works is vital for all parents. does not have the ability to compel himself to do the right thing. 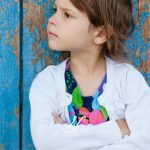 It is our responsibility as parents to help the child build a strong self-compelling power of will—to be strong-willed. It is not really a play on the words, but a totally different perspective. 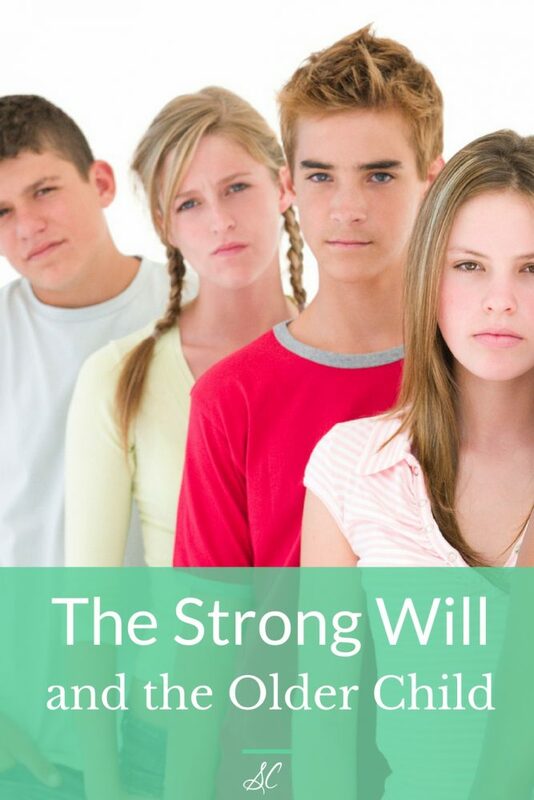 We all want our children to have the inner strength of will to choose well even when those around them choose poorly. 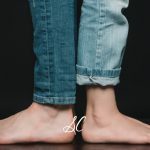 To be strong-willed means the child will have the power to do the right thing when we are not present looking over his shoulder to make sure he chooses wisely. To will is to choose. To have power of will is to choose well. The will is strengthened the more it is exercised and nourished. In other words, every time your child chooses to do the right thing, his will is being strengthened and nurtured. When he is young, making the choice easy for him is part of our work. The goal is for the child to will his own obedience, to choose to make the right choice. Working together, breaking down chores into smaller tasks, making clean-up time a game are examples of helping your young child learn to choose well. Forcing the child to choose wisely is not helping him build strength in self-compelling power. Control is a complex aspect of parenting. As the years progress, little by little control is relinquished to the child, especially as he proves he can choose well. Our goal involves guiding him to move from parental control to self-control. Self-government is evidence of maturity and responsible living. 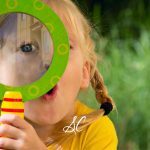 From the very young child to the oldest adult, distraction is helpful when trying to choose to do the right thing, and more specifically, trying not to do the wrong thing. Distraction, offering a diversion, is an effective way to change your thinking. When tempted to do something you should not, change your thinking to something totally different that you enjoy and that is right and good. Focusing attention on plans for a birthday party, images of a recent vacation you enjoyed, or a pleasant memory, can help you guide your thinking, and, therefore, your behavior. It sounds simplistic, but the practice is actually profound. The older child will need help to accomplish a change in his thoughts. Offering a distraction such as a suggestion of an activity he enjoys, or introducing a change in the topic of conversation can be enough to help an older child or teen to amend a bad attitude. Although they will not recognize what is happening, we are actually guiding them to choose well. Assisting a child in this way is not always easy. We must be quick to think and sympathetic to the child’s need for our help. 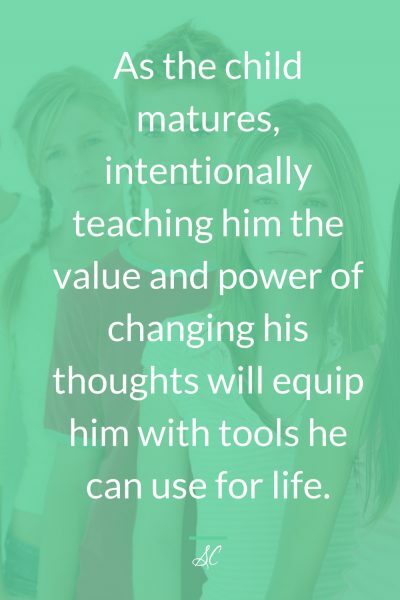 As the child matures, intentionally teaching him the value and power of changing his thoughts will equip him with tools he can use for life. Proverbs 16:32 in the New Living Translation states, “Better to be patient than powerful; better to have self-control than to conquer a city.” After telling my young teen-age son to stop pestering his younger sister during school time (he was throwing little wads of paper into her water glass), I watched as he contemplated throwing one more wad of paper. I could tell he wanted to throw it, but was considering the consequences. I quietly said, “Do you have the strength of will to do the right thing?” He immediately, though a bit grudgingly, dropped the paper wad and turned back to his own studies. Physical strength is elevated in our macho- centered society, but inner strength is more powerful. Our children need to know this truth. Years ago our daughter was not old enough to go on an outing with her older teen siblings. She was very disappointed and had become moody as a result. I remember as I drove home with her, I silently cried out to the Lord asking for ideas to help her change her thoughts. I knew if she didn’t have some help she would move downward in her thinking to self-pity, and the day would become wearisome and difficult for her and for me. 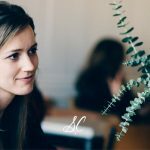 It was not the time to confront the issue head on, but grace and gentleness along with some patience and sympathy would go a long way in empowering her ability to change her thoughts and in strengthening our relationship. It was hard work and took a lot of quick thinking to gradually draw her out of the downward spiral of her thoughts with conversation about the plans we had for the next few days. I wasn’t always successful in helping my older children change the direction of their thoughts, but it was worth every effort, for their sake and for mine. Incentives work for all of us. Incentives should be established before the opportunity to choose arises. Meet with the child and explain the incentives are consequences for doing the right thing. Offering an incentive when a child is already misbehaving or is out of control is bribery and only reinforces his bad behavior. Do not tell the child who refuses to do his work that he can go out with friends if he will get his work done. You are bribing him. Determine the incentive to motivate the child to want to make the right choice, but don’t use the incentive to get the child to comply when he is already choosing poorly. Teach your older child and teen the importance of choosing well and the advantage of changing his thoughts. The teachable moment, however, is not when the child is choosing poorly or behaving badly. Gracefully try to help the child get through the incident, and inform him of the consequences of his actions. Then later, when the setting is peaceful and there are no issues to confront, when the will has had the chance to rest, talk with him about building inner strength and the power of choosing well. Ask him how the situation could have been different if he had chosen well or had changed his thinking. Changing the thoughts of my children with distractions and incentives has had a major impact on my life personally. As I thought about guiding them to develop the ability to choose well, I had to think about my own will and the choices I was making. Choose well has become a motto for me. We can all benefit from assisting our will and building inner self-compelling power. One point must be evident. Even with the best of training we must remember the child still has a choice. The training we give is not a formula promising success in every choice our child will make. The care we take to guide him to learn to choose well will serve as a foundation for him and will be a benefit to him, but it comes with no guarantee. So prayerfully, hoping in God and His work in the life of your child, intentionally train him to choose well. Give him the advantage of practice, and then let him choose.